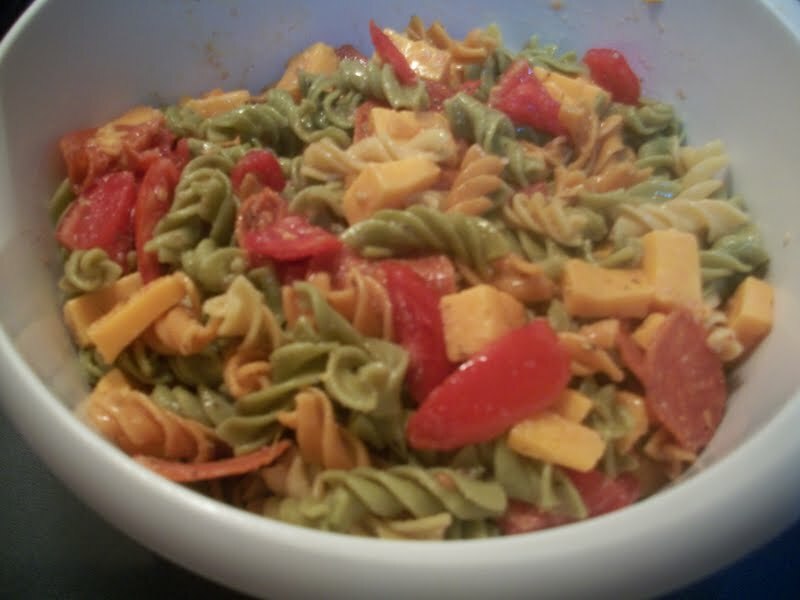 I absolutely love this pasta salad recipe. I found it in a Taste of Home magazine many years ago, and have made it countless times since. First you will need to make a box of spiral pasta. 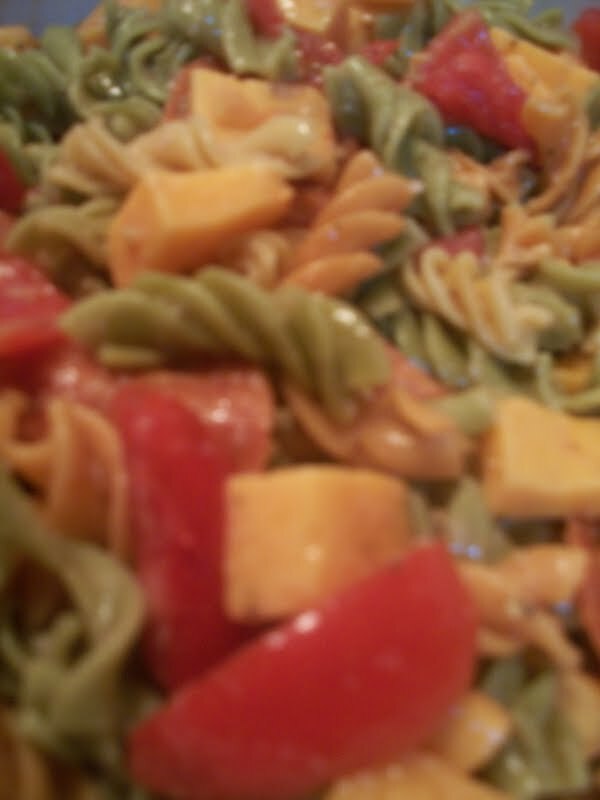 I had several boxes of Ronzoni Garden Delight Rotini from a recent sale. You can use plain rotini if desired, the garden version just makes the pasta salad more colorful. Drain the pasta. Add 3 medium diced tomatoes, 16 oz of cubed cheddar and 3 ozs of sliced pepperoni. You can also added 1-2 green onion bunches if desired. I left them out. If you are a follower of my recipes on the blog, you know that I dont aways follow directions exactly. Today I used an 8 oz block of cheese. I personally feel that 16 ozs is a bit too much and I LOVE cheese. 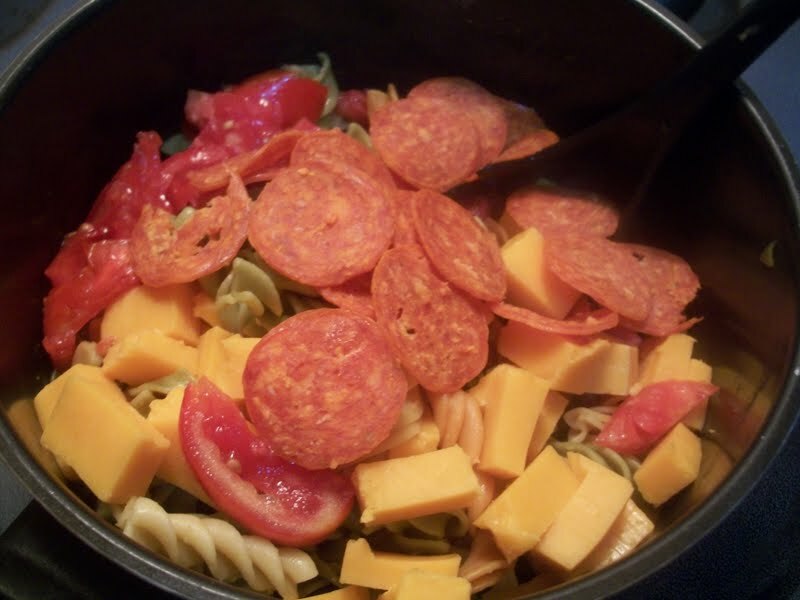 I also did not add the entire 3 ozs of pepperoni. 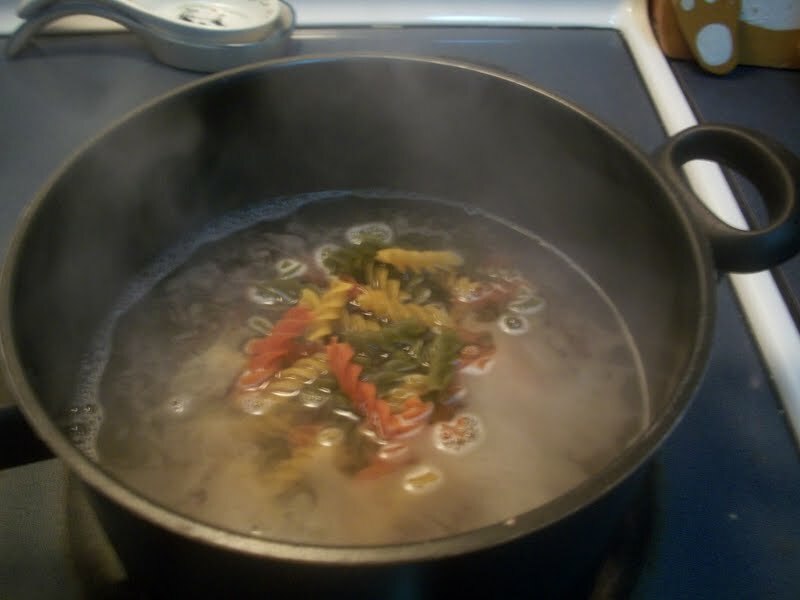 Mix the ingredients throughout the pasta. The next step is to make the dressing. 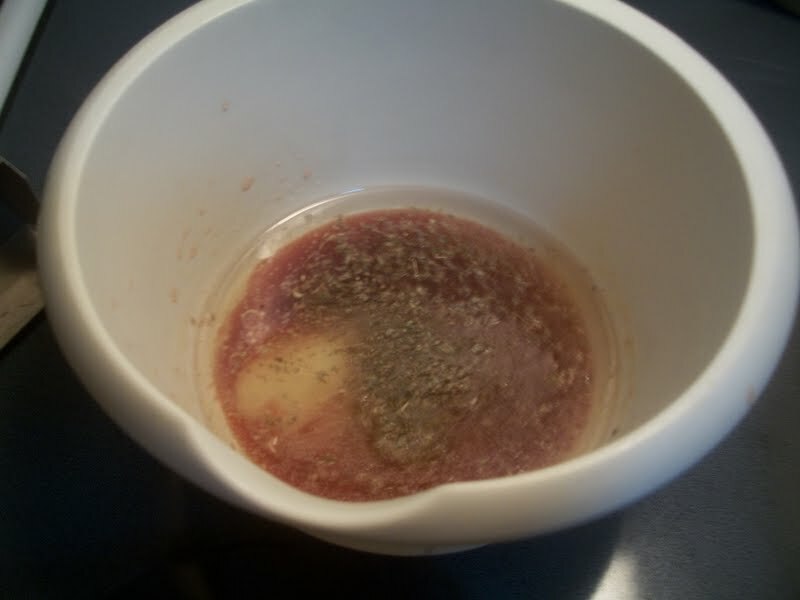 You will need 3/4 c of canola oil, (vegetable oils is also okay), 1/2 c of red wine vinegar, 2/3 c of parm cheese, 2 tsp oregano, 1 tsp garlic powder and 1 tsp of salt. I did not have the full 2/3 c of parm cheese today, but did not realize that until I got to this step. I just added what I had. Mix well. Pour the dressing over the pasta mixture. Chill several hours before serving. I love how colorful it turned out with the Garden Delight. Enjoy! I plan on serving ours at our church Labor Day picnic tomorrow. Thank you SO much for the pictures! I am such a visual person and for what ever reason I can remember the pictures but a written or typed recipe is painful for me! Great idea to make your own dressing also, I have never thought of that! Thank you again for sharing at Crafty Scrappy Happy!